Is someone’s life in danger? Contact 000 for emergency services & ask that they also contact the Water Police. If there are non-life threatening injuries, or there is damage to boats, then please contact the Police Assistance Line on 131 444. They will contact an ambulance where required. If no emergency services are required then only an incident report form needs to be completed. Rowing Australia, in concert with the State Associations (including Rowing ACT), has developed a number of tools to assist rowing clubs and the rowing community to enhance safety. Rowing ACT has adopted these policies. All members of Rowing ACT are required to comply with these policies. The Code outlines in the expectations of safe use of waterways and the relationships that exist between users of those waterways. The Guidelines detail how the Code can be applied by Clubs and individuals. 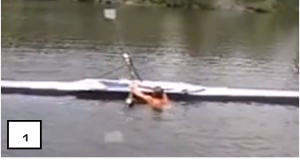 record all Club safety incidents and report these to Rowing ACT (see incident reporting below). This check list enables a Club safety officer to assess where weaknesses exist in safety procedure and equipment. The document is outcomes focused can be easily considered by Club Committees to ensure that members are using waterways safely and responsibly in line with RA’s recommended guidelines. As part of their Club safety audits, Club Safety Officers should check their equipment complies with the following criteria required by the Rowing Australia Rules of Racing. To promote safety and to assist Clubs meet their safety requirements, random checking may be made by Boat Race Officials at Rowing ACT regattas. Bow Balls. The bows of all boats must be fitted with a solid white ball, with a minimum diameter of 4 cm. The bow ball must be firmly affixed to the bow of the boat such that it does not significantly deflect if a side force is applied. Quick Release. The foot stretchers, shoes or other devices holding the feet of rowers in all boats must allow the rowers to get clear of the boat without delay. Each shoe device must be independently restrained such that the heel will not lift more than 7 cm from where it is tied down. Where laces, Velcro or similar materials must be opened before the rower can remove their feet from the shoe device, these must be able to be released immediately by the rower with a single quick hand action of pulling on one easily accessible strap. 2 mm from the outer edge of the blade for sculls, must have a minimum thickness of 3 mm throughout. Coxswain’s seat. The opening of the coxswain’s seat must be at least 70 cm long and it must be as wide as the boat for at least 50 cm. The inner surface of the enclosed part must be smooth and no structure of any sort may restrict the inner width of the coxswains section. Bungs. It is also recommended that boats are sealed/fitted with bungs so that, in the case of a capsize, the interior of the boat remains watertight. 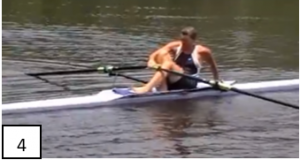 Rowing in the ACT has some particular risks as an inland lake environment located in a cool climate. Everyone must be familiar with, and comply with, the Rules of the Lake and rowing guides. people on the water should keep a good lookout at all times, being aware of other boats, Lake users and obstacles (eg, rocks and buoys). Even if you think you have right of way, it is best to give way to avoid any collisions! It is also helpful to call out to any boats approaching you (or an obstacle) so that they are aware of you (or the obstacle). 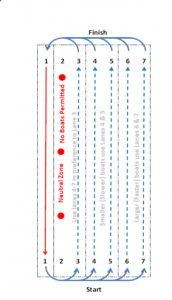 Below are two diagrams displaying the regular traffic rules on the Lake Burley Griffin course. Here is a summary of some weather conditions experienced in the ACT and recommendations on how to respond to different weather conditions. without a coach or another crew between May – September. keep a good look out for other lake users and obstacles. if fog closes in on you while out on the lake, make your way slowly to the nearest shore and follow this slowly back to your boat shed or the nearest safe spot. only go out on the water with the supervision of a coach or another crew. it is easy to get cold quickly in wet weather. Light rain can often turn into heavier rain/worse weather conditions. comply with these guidelines . make sure you stay well-hydrated and do not go out without a drink bottle. If you row before sunrise or after sunset or in conditions of poor light, at a minimum, all boats must have one all-round white light (continuous or flashing at least once per second) visible in clear conditions from a distance of at least 1km attached to the bow of the boat. For greater visibility, Rowing ACT recommends an additional all-round white or red light (continuous or flashing at least once per second) in clear conditions from a distance of at least 1km attached to the stern of the boat. This second light assists other lake users judge the direction of your boat. It is considered acceptable for a stern light to be masked so that it does not to interfere with the vision of the boat’s occupants, provided at least one light is visible from any direction. These requirements are based on Rowing Australia’s on water safety policies and the International Regulations for Preventing Collisions at Sea (in relation to vessels under oars). 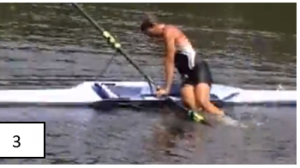 Report any capsizes to Rowing ACT (eo@rowingact.org.au). Rowing ACT strongly recommends that rowers only go out on the water in winter if accompanied by a coach or another crew (ie not alone). If you participate in the sport of rowing in the ACT, you should read the Official Policies above and determine what strategies you need to put in place to address any safety risks. If you are in any doubt about any aspect of your safety while participating in rowing, you should seek guidance from your Club Captain or Safety Officer before exposing yourself to that risk. Physical injuries when moving boats or other equipment – you should adopt safe lifting practices when moving all rowing equipment. If you are injured while rowing or during rowing related activities, you may be covered by insurance against personal accidents under a policy maintained by Rowing Australia and subscribed to by Rowing ACT. However, this insurance will not cover property loss or damage and may not cover injury caused to third persons. Clubs take out their own insurance in respect of property including boats and equipment. Any participant who has a need for insurance cover of personal equipment and property should make private arrangements with an insurer. Below, we have some practical safety tips. know any additional Club safety rules. there are Dangerous Weather Conditions. a t-shirt or long sleeved top. woollen or thermal socks. Water proof socks are also handy! for coxswains and coaches: puffer jackets, wind proof jackets and pant, and hot water bottles can be good sources of extra warmth. Capsizing is when you fall out of your boat. Swamping is when your boat fills up with water and sinks. try not to move around too much so that you don’t lose too much body heat. Check out this useful YouTube clip. Hold the oars together in one hand and haul your torso up onto the platform of the boat. 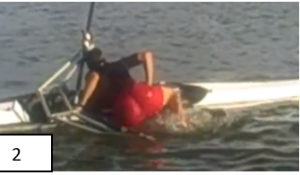 Sometimes it is easier if you lift one leg up onto the boat. Catching a crab occurs when your oar gets caught in the water at the end of a stroke and the boat’s momentum pulls the blade into the water and pushes the handle into your body or head, or behind you. Don’t fight a crab by pushing against the oar (as you may get pushed out of the boat or snap the oar). 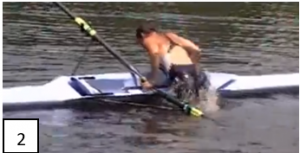 Instead, try to push the handle up and feather the blade, and lean back/lie flat to let the handle of the oar go over the top of you (see picture above). If a crew member catches a crab, Rowing ACT recommends that other crew members stop rowing so that the boat can slow down/stop completely, and the person who has caught a crab can regain control of their oar by feathering the blade and tapping out. 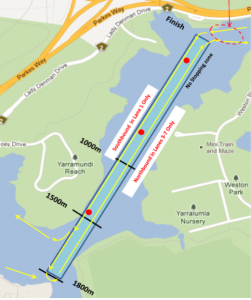 As required by Rowing Australia, Rowing ACT collects information detailing rowing related safety incidents in the ACT. This information is used to analyse and assess risks in order to manage those risks and mitigate the chances of reoccurrence. to the Club Safety Officer. Information may also need to be reported to the Water Police and insurance agencies. serious injury (or grievous bodily harm to, or death of) a person caused by a boat’s operations.